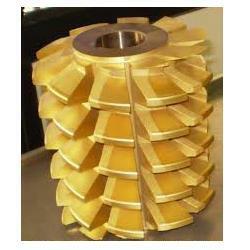 Leading Manufacturer of gear hobbing cutters from Ludhiana. We are leading Manufacturer, Exporter and Supplier of Hob or hobbing cutters are also used along with gear cutters for milling gears. The hobbing cutter is used on a hobbing machine designed specifically to machine gears, sprockets & splines.